Home Amazing Who Built The Great Serpent Mound? And Why? Ohio seems like an odd place for one of the world’s largest and most mysterious prehistoric, man-made effigies, and yet there it is. 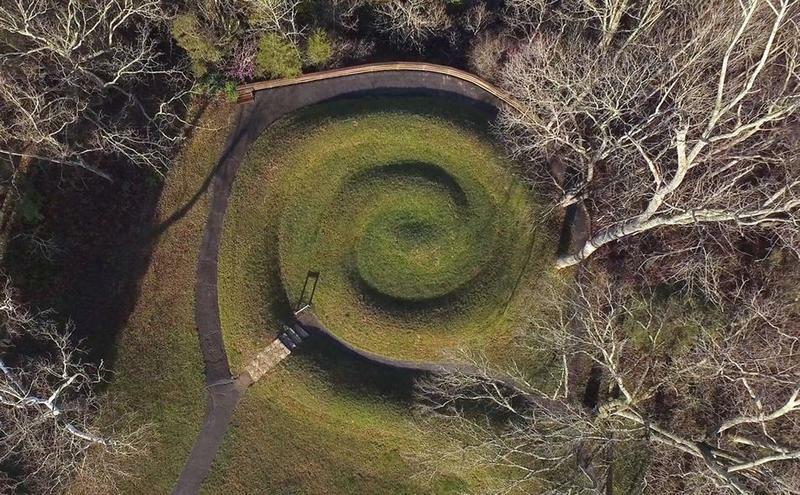 The Great Serpent Mound, in Adams County, Ohio, is one of the strangest and most fascinating places on earth and demonstrates the incredible engineering and innovation of an ancient group of people. At 1,376 feet, it is the longest snake effigy on the planet and the design is quite remarkable, especially when viewed from above. But who built the Great Serpent Mount? And why was it built in Ohio? And, more importantly, what was the reason for its construction? Spoiler alert: archeologists don’t have definitive answers to these questions. In fact, trying to answer these questions has only created more questions. 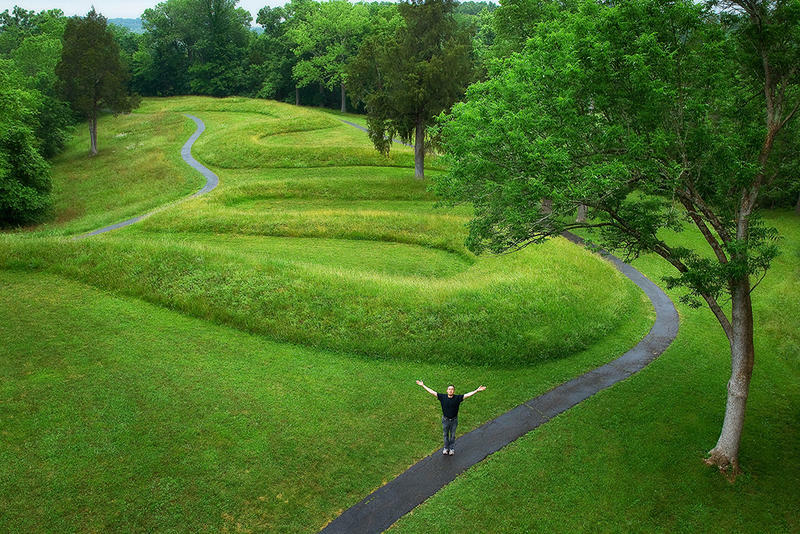 At a little more than a quarter of a mile long and between one and three feet tall, the Serpent Mound pales in comparison to the Great Pyramid or Stonehenge, but it is no less fascinating. When the effigy was first recorded by European explorers, Edwin Davis and Ephraim Squire, in 1848, their account of the site was published in their book, Ancient Monuments of the Mississippi Valley. They noted that the head of the serpent rests on a cliff above a stream and that the body meanders back and forth for 800 feet, producing seven coils. The snake’s tail ends in a tight spiral. 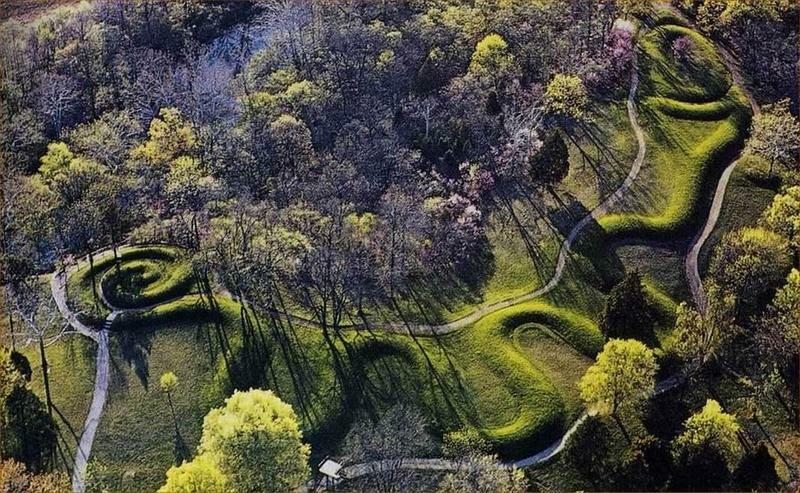 A strange feature of Serpent Mound is that it depicts the snake with an open mouth, preparing to eat a large egg. The egg and the serpent are clearly symbolic, but of what? Scientists have determined that the ancient builders of Serpent Mound didn’t pick the location at random. The plateau on which the effigy mound was built is an astrobleme, the impact crater of a long-ago meteorite crash. Researchers from the University of Glasgow in Scotland worked with geologists from the Ohio state government in 2003 to study the impact crater, which is almost completely eroded away. They determined that the meteorite hit during the Permian Period, roughly 248 to 286 million years ago. 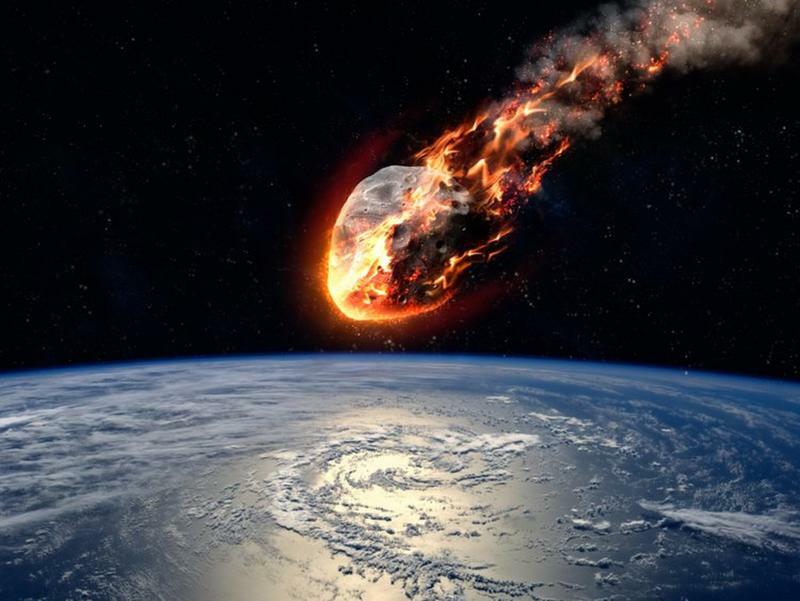 This event that pre-dates humans begs the question, if the mound builders’ ancient ancestors did not witness the meteorite fall to earth, how did they know that this location was special? How did they know about a celestial event that occurred millions of years before their arrival? Researchers Clark and Marjorie Hardman suggested in 1987 that the head of the serpent and the egg align to the setting of the sun on the summer solstice. Adding to this, other researchers proposed that the coils of the serpent indicate both solstices and both equinoxes. Yet another expert, William F. Romain, believed that the seven coils or curves of the serpent’s body align with phases of the moon. If that is the case…that Serpent Mound combines both solar and lunar alignments…it is significant. Most other ancient monuments focus on either solar alignments or lunar alignments, but not both in one structure. This shows an advanced understanding of astronomy by the ancient mound builders. Some radiocarbon dating of Serpent Mound points to a construction time of about 1070 A.D. If this proves to be accurate…and it is up for debate…the mound builders may have been influenced by recent astronomical events. The light from the exploding supernova that created the Crab Nebula would have been visible in 1054 A.D. A few years later, in 1066, Halley’s Comet would have been visible, even in the daylight, for up to two full weeks. Perhaps these two events inspired the ancient mound builders to begin drawing up plans for Serpent Mound. So Who Were the Ancient Mound Builders? 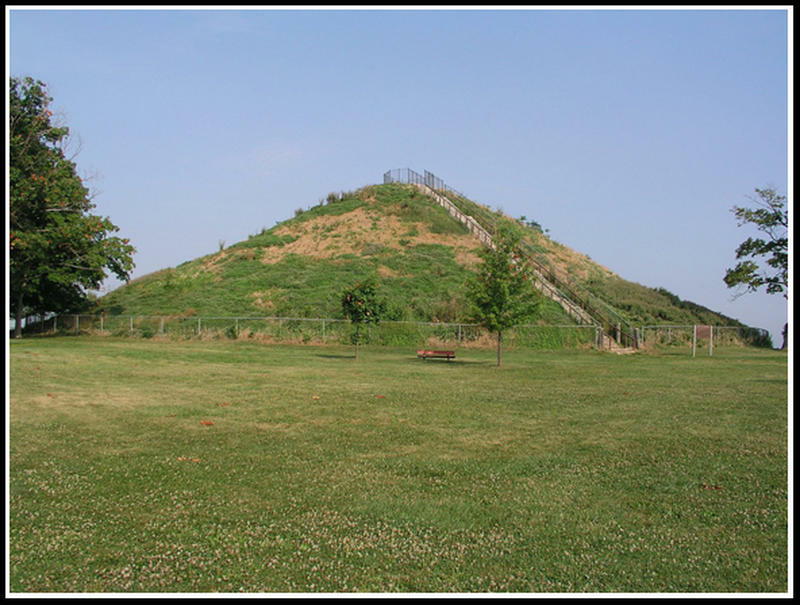 Depending upon who you talk to, the ancient mound builders responsible for Serpent Mound could be either the Adena people or the Fort Ancient people. When it was first discovered by European explorers, the indigenous Adena people were cited as the builders. Carbon dating done in 1996 placed the age of the Serpent Mound at 1070 A.D., meaning it was most likely the work of the Fort Ancient people. But more current carbon dating, done in 2014, put the construction of the site at 300 BCE, tossing it back to the Adena culture. Strangely, Serpent Mound does not yield any clues. Although there are ancient graves in the area of Serpent Mound, there are no artifacts within the mound itself. A native tribe of Pre-Columbian people, the Adena lived in what is now Ohio, Pennsylvania, Indiana, Kentucky, and surrounding areas from about 1000 to 200 BC. The Adena people were known for creating elaborate earthworks, including sacred circles, as well as mounds. 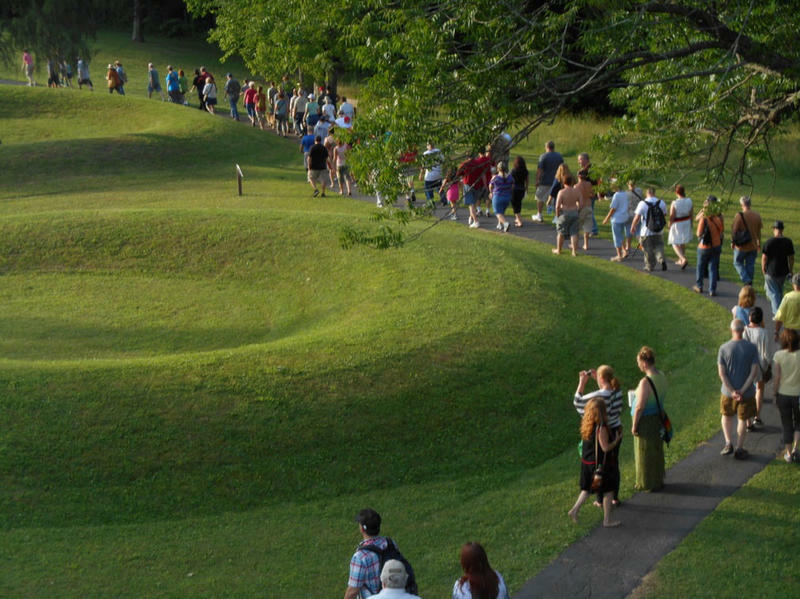 Even for accomplished earthworkers like the Adena, Serpent Mound is unique and represents a major accomplishment for this early culture. There is some archeological evidence suggesting that the Adena people, even if they were not the original builders, may have made repairs to the Serpent Mound at various points in history. Who Were the Fort Ancient People? 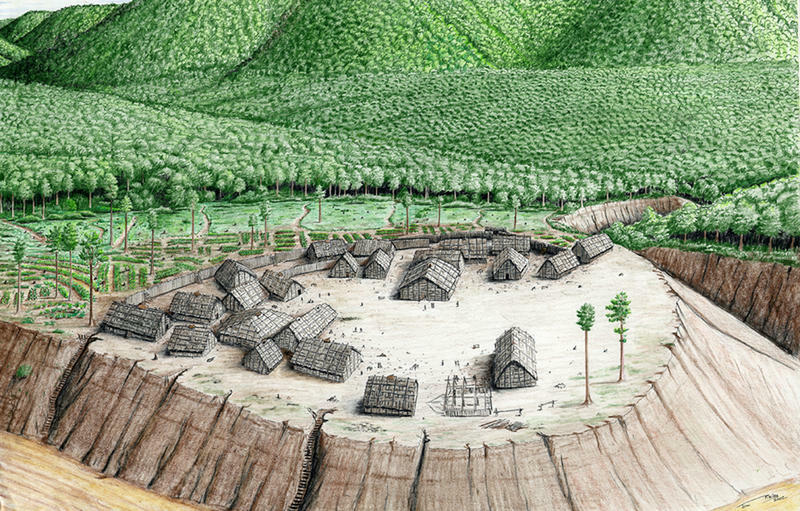 The Fort Ancient people lived in the Ohio River valley area from 1000 to 1750 A.D. The Fort Ancient people were a farming culture and many experts believe they are the people who introduced maize farming to the area. They were also known mound builders. They constructed numerous low, plateau-like mounds that were used to defend their villages or as ceremonial places. Some of their mounds are thought to have been used to record solstices and other important astronomical events. 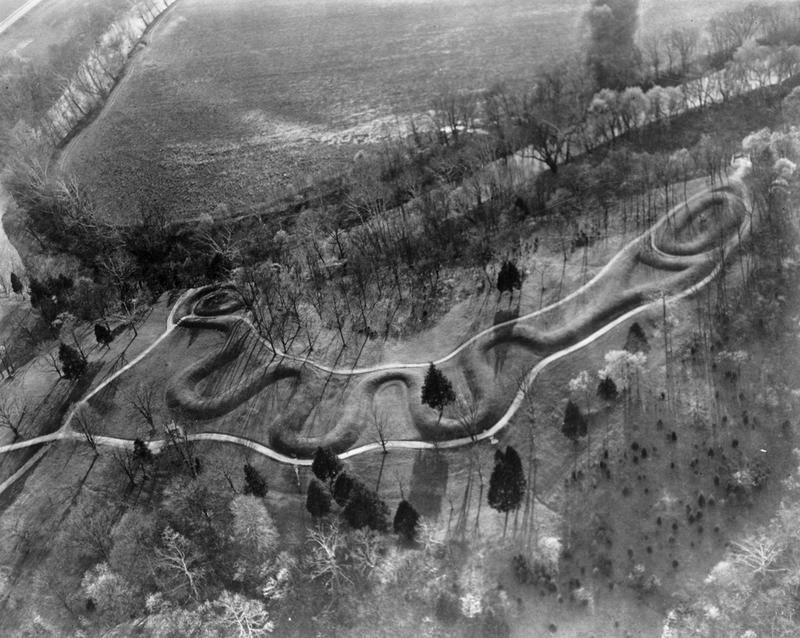 How Was Serpent Mound Built? 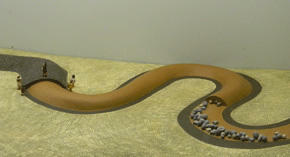 Researchers may not know exactly who built the Serpent Mound, but they do know how it was built. The mound consists of a thick layer of ash and clay that was held in place by a layer of rocks. On top of that was a thick layer of soil, making it easy for grass and other vegetation to cover the mound. There is evidence that portions of the mound either collapsed or was damaged over time and repairs were occasionally made to it. Why Was Serpent Mound Built? Because of the astronomical alignments at Serpent Mound, most experts believe it was constructed to record special calendar days and important lunar and solar days. The mound is not a burial mound, although there are some ancient graves in the area. Oddly, there is also no archaeological evidence that the site was used for large ceremonial gatherings. Instead, the site may have been a place for quiet, solitary observation and prayer. Today, Serpent Mound is open for tourists. The site also includes a museum that informs about the mound and the ancient people…the Adena and the Fort Ancient people…who lived in the area in prehistoric times.